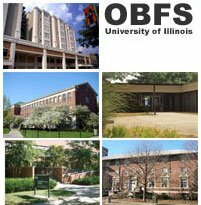 The Office of Business and Financial Services (OBFS) supports the business and financial operations of the University of Illinois System and assists units in daily operations. OBFS serves the system community at all three universities. The OBFS Organizational Chart shows the relationship between the various areas. To learn more about each unit in OBFS, go to the OBFS Units page. To learn about senior leadership, visit the OBFS Leadership page. The Roles and Responsibilities page lists the tasks most commonly performed by employees with business and finance responsibilities, including helpful resources. If you are a new employee with business and finance responsibilities, the Orientation for New Business and Finance Employees will give you a basic understanding of the information and resources available to help you get started.